A newly published study details the drastic changes in radiation levels experienced by NASA’s Voyager 1 spacecraft on August 25, 2012, possibly showing that Voyager 1 has reached interstellar space. 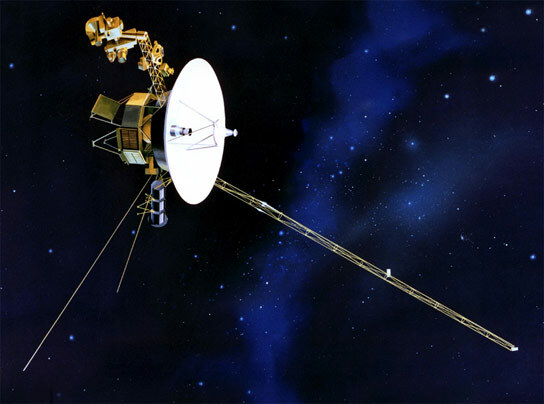 Washington – Thirty-five years after its launch, Voyager 1 appears to have traveled beyond the influence of the Sun and exited the heliosphere, according to a new study appearing online today. The work was funded by NASA’s Jet Propulsion Laboratory in Pasadena, California. 1 Comment on "Has Voyager 1 Reached Interstellar Space? Study Provides Details of Drastic Changes in Radiation Levels"
Interstellar space need not be an empty region. Of course the radiation from outside sun’s sources may peak. There could be some wandering stones or planetoids in this region. When galactic cannibalism is evident, why can’t there be such wanderers from nearby stars whose oort cloud of course should carry all the stones and ice to their central star just as our comets do. Have we not got surprised to see the tiny Pluto, who already got degraded from a planet’s position still collects some satellites around it as P1, P2,P3 P1 etc in addition to Nix and Charon ? Many surprises are bound to come but the battery in the rocket should still have the power and we should live long enough to know them all. Thank You.